What will the ACCC investigation into the outdoor sector unearth? The Australian Competition and Consumer Commission has launched an investigation into the outdoor advertising sector, to assess whether the use of rebates and discounts are in breach of the Competition and Consumer Act. Mumbrella's Zoe Samios unpacks the potential consequences for the industry. “Wowee!! That’s my box opened up right there!,” one user calling herself “Pandora” wrote. “This should get messy,” wrote another. “Well overdue. And needed for all media,” another said. The share price for two of the outdoor operators which sit on the ASX, QMS and Ooh Media, fell between 4% and 5%, with Ooh Media later issuing a statement to inform shareholders it was cooperating with the ACCC. Industry body the Outdoor Media Association declined to comment for the initial article published, and has since remained silent on the issue. “Ooh Media is aware of media reports regarding industry-wide inquiries by the Australian Competition and Consumer Commission (ACCC) in relation to discounts and rebates in the out of home advertising industry,” a statement published on February 6 said. “As part of its usual business operations Ooh Media corresponds with regulators including the ACCC from time to time. Ooh Media understands its legal obligations and respects the ACCC’s processes. Ooh Media’s practice is to engage with regulators to assist with any questions regarding the industry.” JC Decaux is not an ASX listed company. Mumbrella does not suggest that any of the companies named in this article are a particular focus of the investigation, or accused of any wrongdoing. This report is only in its initial stages, and is tackling an issue which spans further that the outdoor advertising sector and the two major mergers in the space. The murky world of rebates has been an ongoing issue in media, and this report could ignite a long-overdue look into the behaviour of agencies and operators. But let’s first understand how this works. What is an initial investigation and why is the ACCC looking into this? The ACCC has a number of ‘investigative’ stages in its inquiries, each dependent on the information uncovered before progressing to the next stage. In the first instance, concerns arise when a report is made to the ACCC. A report might come from parliamentary inquiries, through external complaints – such as from a competitor – or through internal referral proccesses triggered by events such as mergers. Mumbrella understands this investigation was at least partly caused by last year’s the major outdoor merger deals, between Ooh Media and Adshel and JC Decaux and APN Outdoor respectively. At the time, the ACCC had no objections to either merger. In May 2017, a previous attempted merger between Ooh Media and APN Outdoor collapsed after the ACCC raised concerns. When the ACCC make a decision whether to object to a merger, it often seeks the views of experts and the public, to better assess the risks to market competition that might come with consolidation. If someone raised concerns, the ACCC must then make an assessment of the issues in the context of the ACCC’s compliance and enforcement policy. The initial investigation is usually wrapped up within a three month period. Mumbrella understands the outdoor operators and agencies were contacted at the end of last year, with requests to provide specific details around the way ads are booked, and any credit or rebate schemes in place. Based on the information at hand, the ACCC has two choices: to investigate no further at the present time, or to move to an in-depth investigation. Rebates, otherwise known as ‘agency volume bonuses’, otherwise known as ‘value banks’, otherwise known as a ‘menu’, otherwise known as ‘kick-backs’, refers to media inventory quietly given by media owners to media agencies (or sometimes the advertisers themselves) for free, or at a heavily discounted rate, by media companies in return for putting a certain amount of business their way. It’s different to a commission, which is usually contractually returned to a client. Rebates can come in different forms: cash, gifts, media inventory credits, or mark-ups. Rebates are hard to prove, some agreed over a handshake, although others are declared. The matter can become an issue if the client is unaware of all the benefits their agency is deriving from the arrangement. Transparency and rebates has been an issue in the industry, particularly with agencies, for years. Previously, a lot of time has been spent looking into the media agency model and understanding how rebates work. But practices around discounts and rebates can be hard to prove. Under the Competition and Consumer Act, which the ACCC enforces, corporations are prohibited from giving or allowing discounts, allowances, rebates or credit on their services, if part of the deal is that the person will agree not to do business with another competitor. Such behaviour might squeeze smaller competitors out of the market. Is this just about rebates and the link to misuse of market power and the exclusive dealing provisions act, or is there more to it? The ACCC’s role is to enforce the Competition and Consumer Act and a range of legislation relating to competition and fair trading. What this means is the ACCC can look into rebates, discounts and allowances, in the context of anti-competitive behaviour. Under the Competition and Consumer Act’s exclusive dealing provisions, corporations with a large degree of power are not allowed to operate in a way which would lessen competition in the market. The Act also prevents corporations from providing services for a bargain price, if it is conditional on the person or organisation receiving the services not working with another competitor. Essentially, the outdoor sector will be in trouble if these behaviours are demonstrated in the sector, and are seen to be a misuse of market power or anti-competitive. Let’s use outdoor owner ‘XYZ’ as an example. 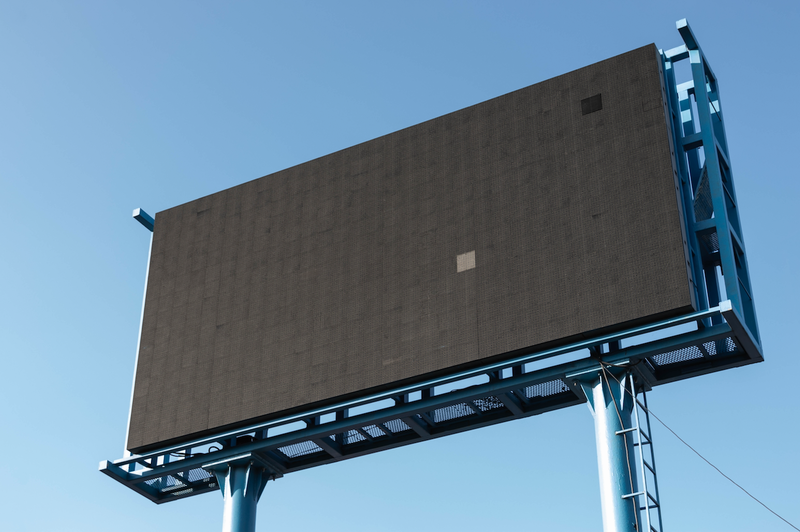 If XYZ provides its billboards to an agency at a particular rate, on the condition that client will not, or will not except to an extent, buy ads from a competitor, it is likely to be in breach of the Competition and Consumer Act. Rebates are prohibited under the Act when they are given on the condition the client will not work with, or not work with to a limited extent, any direct or indirect competitor. It is also worth noting that if concerns are raised with the ACCC during this initial inquiry stage that go beyond the outdoor sector, these could also be investigated. Concerns and issues relating to corruption, fraud and bribery are police, rather than ACCC, matters. The ACCC will look at the information provided and decide whether to close the investigation, proceed with an in-depth investigation or in instances more serious, pass those allegations to police. Should an in-depth investigation take place, one of two things can occur: no further action, or progress to an enforcement outcome. These enforcement outcomes range from an infringement notice – for breaches to Australian Consumer Law – litigation, and in instances of cartel investigations, criminal prosecution. Those wishing to share information with the ACCC, can do so at https://www.accc.gov.au/contact-us/contact-the-accc. 3. If necessary, make production commission-able. 4. Give agencies 2 versions of the plan, one without commission on production for their clients. One with it for them. 5. Give further discounts, bonus billboards, movie tickets and other incentives if you can get 100 % of the buy. Well it’s not just agencies taking incentives, there are other models out in market calling themselves specialists hugely benefiting from this. In an industry rife with “the boys” doing the deals, who could wag the biggest Willy at deal time – it was only a matter of time before it all surfaced. Too little too late? Let’s wait and see. I’m sure there are a lot of nervous individuals who are hoping it all disappears as quickly as the mergers took place!